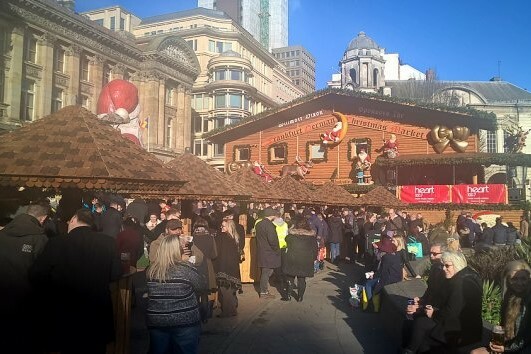 Birminghams Frankfurt Christmas Market is a firm fixture in the citys annual calendar and, together with the neighbouring Christmas Craft Market, a massive favourite with both residents and visitors to the city from across the UK and Europe. Birmingham comes alive every winter with the arrival of the Market, a clear sign that Christmas is just around the corner. With over 120 stalls there is something for everyone. 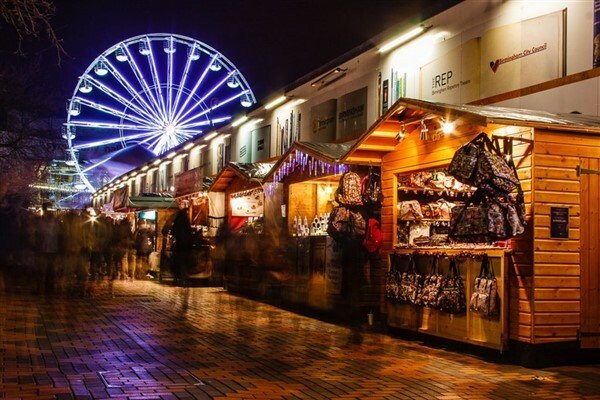 The largest authentic German Christmas market outside of Germany or Austria Birminghams Frankfurt Christmas Market offers a large range of traditional good and gifts and a selection of tempting food and drink. Pretzels, schnitzels, bratwursts, and roasted almonds will tempt your tastebuds, all of which can be washed down with gluhwein, weissbeer (wheat beer), or tasty hot chocolate.